This wallpaper was produced and hung as part of Gallaccio's installation, 'Tense', which featured in the East Country Yard Show, curated by Henry Bond and Sarah Lucas in an empty warehouse at Surrey Docks, London. 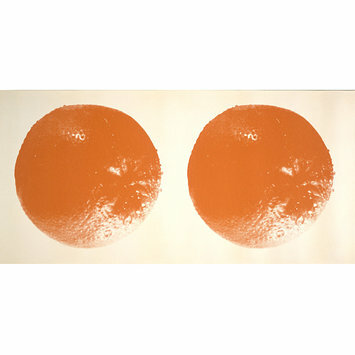 The paper was pasted on the walls, and on the floor Gallaccio made an oblong 'carpet' comprising one ton of Valencia oranges which gradually decayed over the duration of the show (31 May - 22 June 1990). Gallaccio has often used natural materials - such as flowers, fruit, and ice - as her raw materials, to create temporary 'paintings' and sculptures in which the process of deterioration and decay is an integral part of the work. 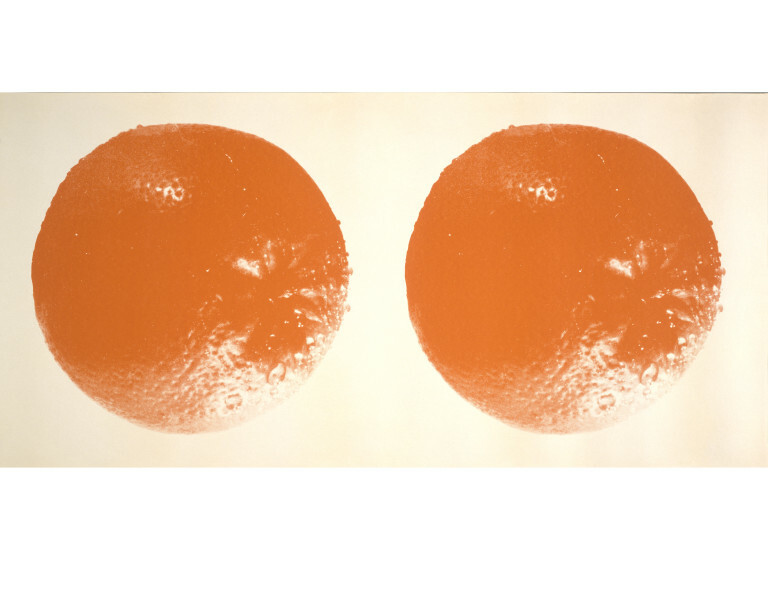 Roll of wallpaper printed with over-sized images of oranges, on a white ground. The wallpaper was produced as part of Gallaccio's installation entitled 'Tense' which was included in the East Country Yard Show, 1990, curated by Henry Bond and Sarah Lucas in an empty warehouse at Surrey Docks. 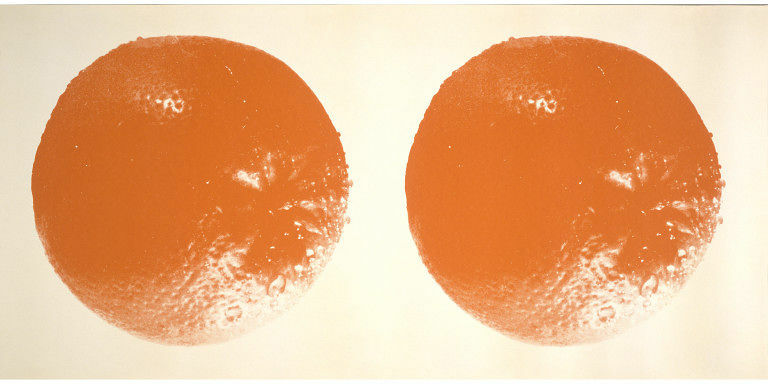 The walls were hung with this paper and on the floor was an oblong 'carpet' comprising one ton of Valencia oranges. Photographs of the installation are on the RF. East Country Yard Show. Catalogue to exhibition. 1990. Unpaginated.